The Li-Ning brand is known as the sponsor of the Chinese National Team and a host of other international players from around the world. 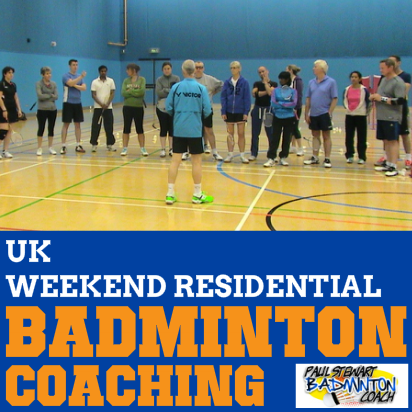 Whilst it’s a well-known badminton brand, it’s disappointing that most players have no idea about their rackets. For a racket company of this stature it’s a pretty poor effort. The marketing of Li-Ning is extremely poor, however, if the marketing team take my comments on board and create a solid information base, then the brand can definitely increase market share. 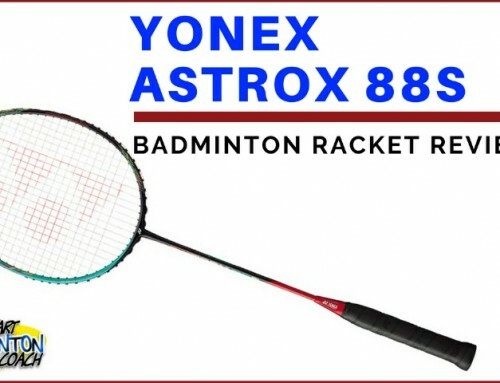 For now, I have no idea where the Air Stream N99 fits in the Li-Ning badminton racket range, or for that matter, if any of the international players are using it. The Airstream N99 arrived unstrung in a fabulous cover featuring a zip at the top. 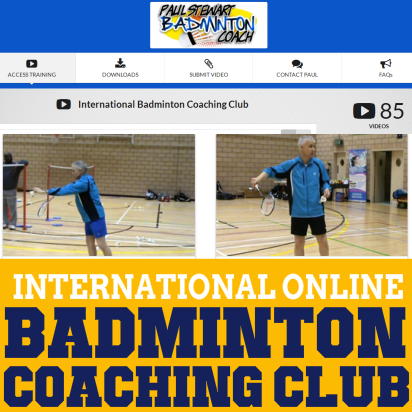 It’s a great design, allowing easy access and withdrawal of the racket whilst also catering for those players who build huge grips. The racket is finished primarily in black matt with red decals, a very understated finish. 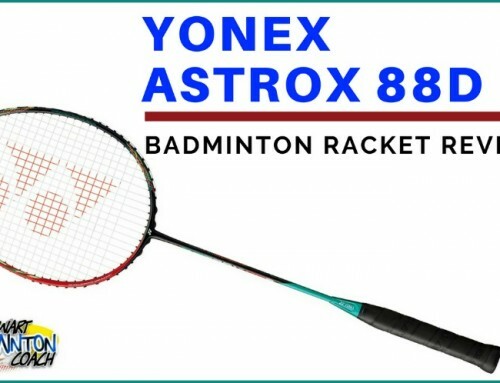 The weight is a 3U (weight 85-89g) G4 grip size – it’s a shame this badminton racket isn’t offered in a smaller grip size. I was provided with a set of NS95 string and restrung to a tension of 26lbs. This is a medium-medium stiff flex, head heavy balance racket. There are four air slits in the frame near the T-joint which I expect are designed to reduce air resistance. Have you had one of those occasions when you pick up a racket and just know it’s going to be good? Well this was certainly one of those moments for me. The balance of the racket feels great, with not too much weight in the head, but enough to feel what’s happening and provide excellent control. There’s flex in the shaft, but not too much, a great combination. Clears were really sweet and I felt there was more to give from this racket, possibly if strung with a more familiar string. NS95 is not on my most wanted string list after this test, but it’s OK. The racket swings so well with just about the right feel without being too much work in the hands. Drop shots were good, nice and crisp as expected from a solid frame. The feel on the string bed was strong, without lagging. There were no timing issues to report. The head heavy frame needs controlling but it rewards really well with great precision. The heavy head performed really well in the smash department, with great direction and power. Additionally, it was good to feel the racket head on every shot with the added benefit that there was enough weight to dial in the power but not too much that fatigue sets in quickly. Flat drives were good too, proving N99 has excellent aero dynamic qualities. Again, there were no signs of fatigue which is always a bonus. Surprisingly, N99 was also quick in defence. OK, it’s not expected to be as fast as other frames I can name, however, it’s quick enough that I can maintain control without working my hands really hard. That’s a big plus point for any head heavy frame. Whilst head light frames generally rule around the net, I’ve always preferred more weight in the head to get that nice, solid face on the shuttle. Racket head speed is still good too, so I’m all smiles. 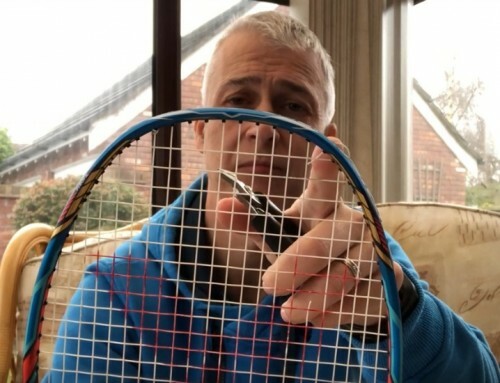 The Li-Ning Air Stream N99 is a superb racket and I suggest this is the best Li-Ning racket I’ve had the pleasure to review. 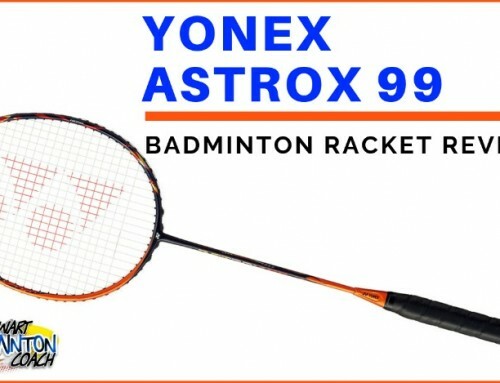 It’s a very underrated racket and deserves a lot of praise for performing so well in all of my test areas. It’s one of the best head heavy rackets I’ve tested in a long time. RRP is £180. 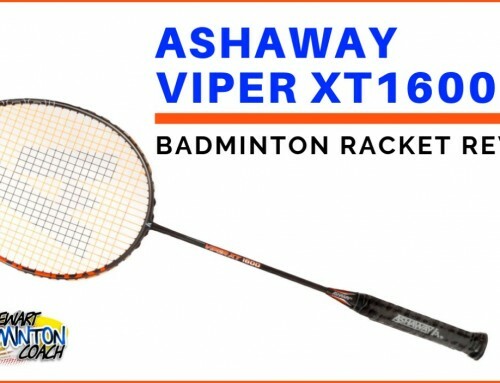 Retailers in the UK are selling this racket for around £140 which is a very fair price. I note that since being sent this racket, it’s been discontinued in the UK. However, I’m so impressed with N99 I decided to publish this review for players who may still have access to it on other continents. It’s such a shame that the marketing for the Li-Ning brand is so poor because the quality is very high indeed. I would love to test more rackets from this brand but they definitely need a major overhaul of their ranges to make them understandable. 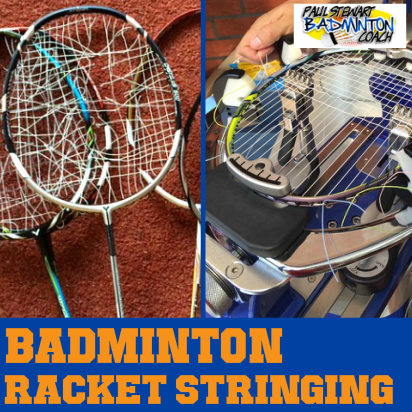 They also need to provide a lot more information about each racket so that we can become familiar with them and understand which specs may be more suitable. 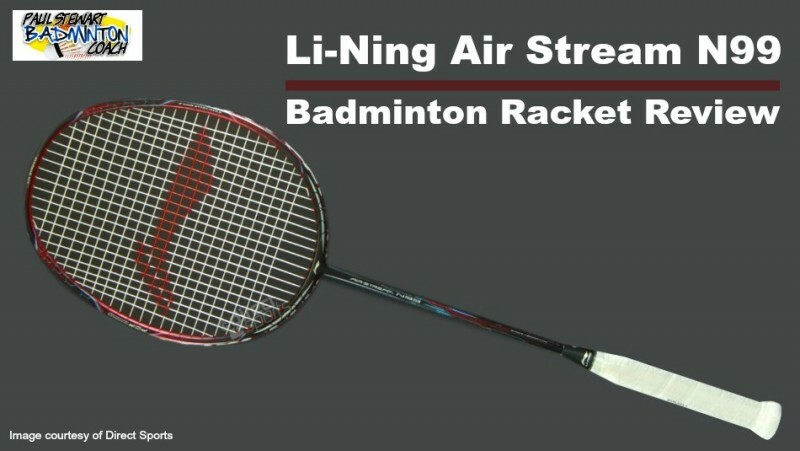 Overall, I rate the Li-Ning Air Stream N99 racket 5 stars – the highest mark given to a Li-Ning racket. What a shame the retailers are showing it as discontinued as it deserves to sell well and you deserve the chance to test it. as a vt80 user for 5 years now and no chance of getting another one i was lookin for alternatives. ive the pleasure to be able 2 test li ning n90 3 and n99 the next days. in your position as a coach, would u recommend 1 more than the other? I don’t recommmend rackets to players as I have no idea whether you will like it or not. 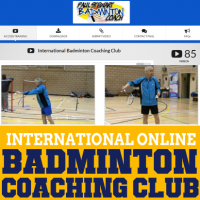 I have seen many players move from VT80 to Lin Dan force and really enjoy the process. However I have no idea whether this racket will suit you even though I feel it’s an excellent racket. Both are really good. I could play with either racket and my preference does not help you make a decision. You will feel a racket different to me and therefore it is your taste that matters. You’ve got a lot more grammatical mistakes in this article than usual. You doing okay, Mr. Stewart?